Contemporary philosophy is the present period in the history of Western philosophy beginning at the end of the 19th century with the professionalization of the discipline and the rise of analytic and continental philosophy. The phrase "contemporary philosophy" is a piece of technical terminology in philosophy that refers to a specific period in the history of Western philosophy. However, the phrase is often confused with modern philosophy (which refers to an earlier period in Western philosophy), postmodern philosophy (which refers to continental philosophers' criticisms of modern philosophy), and with a non-technical use of the phrase referring to any recent philosophic work. The list of specific changes [during the late 19th-century professionalization of philosophy] is fairly brief, but the resultant shift is almost total. [...] No longer could the [philosophy] professor function as a defender of the faith or an expounder of Truth. The new philosopher had to be a leader of inquires and a publicizer of results. This shift was made obvious when certified (often German-certified) philosophy Ph.D.'s replaced theology graduates and ministers in the philosophy classroom. The period between the time when almost no one had a Ph.D. to when almost everyone did was very brief. [...] The doctorate, moreover, was more than a license to teach: it was a certificate that the prospective philosophy instructor was well, if narrowly, trained and ready to undertake independent work in the now specializing and restricted field of academic philosophy. These new philosophers functioned in independent departments of philosophy [...] They were making real gains in their research, creating a body of philosophic work that remains central to our study even now. These new philosophers also set their own standards for success, publishing in the recognized organs of philosophy that were being founded at the time: The Monist (1890), The International Journal of Ethics (1890), The Philosophical Review (1892), and The Journal of Philosophy, Psychology, and Scientific Methods (1904). 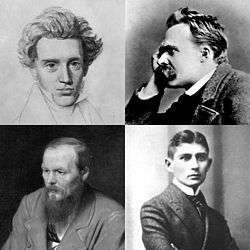 And, of course, these philosophers were banding together into societies--the American Psychological Association (1892), the Western Philosophical Association (1900), and the American Philosophical Association (1900)--to consolidate their academic positions and advance their philosophic work. Mind is a prominent professional journal in contemporary philosophy. Three of its most famous publications, arguably, are Lewis Carroll's "What the Tortoise Said to Achilles" (1895), Bertrand Russell's "On Denoting" (1905), and Alan Turing's "Computing Machinery and Intelligence" (1950), in which he first proposed the Turing test. Not long after their formation, the Western Philosophical Association and portions of the American Psychological Association merged with the American Philosophical Association to create what is today the main professional organization for philosophers in the United States: the American Philosophical Association. The Association has three divisions - Pacific, Central and Eastern. Each division organises a large annual conference. The biggest of these is the Eastern Division Meeting, which usually attracts around 2,000 philosophers and takes place in a different east coast city each December. The Eastern Division Meeting is also the USA's largest recruitment event for philosophy jobs, with numerous universities sending teams to interview candidates for academic posts. Among its many other tasks, the association is responsible for administering many of the profession's top honors. For example, the Presidency of a Division of the American Philosophical Association is considered to be a professional honor and the American Philosophical Association Book Prize is one of the oldest prizes in philosophy. The largest academic organization devoted to specifically furthering the study of continental philosophy is the Society for Phenomenology and Existential Philosophy. Ayn Rand is the foremost example of an intellectual working contemporaneously with contemporary philosophy but whose contributions were not made within the professional discipline of "philosophy": "For all her [Ayn Rand's] popularity, however, only a few professional philosophers have taken her work seriously. As a result, most of the serious philosophical work on Rand has appeared in non-academic, non-peer-reviewed journals, or in books, and the bibliography reflects this fact." Analytic philosophy dominates in the United Kingdom, Canada, Australia, Scandinavia, the Netherlands, Germany, Austria, and, indeed, most of Europe. Continental philosophy prevails in France, Italy, Spain, and parts of the United States. Some philosophers, such as Richard Rorty and Simon Glendinning, argue that this "continental-analytic" divide is inimical to the discipline as a whole. Others, such as John Searle, claim that continental philosophy, especially post-structuralist continental philosophy, should be expunged, on grounds that it is obscurantist and nebulous. The analytic program in philosophy is ordinarily dated to the work of English philosophers Bertrand Russell and G. E. Moore in the early 20th century, building on the work of the German philosopher and mathematician Gottlob Frege. They turned away from then-dominant forms of Hegelianism (objecting in particular to its idealism and purported obscurity) and began to develop a new sort of conceptual analysis based on recent developments in logic. The most prominent example of this new method of conceptual analysis is Russell's 1905 paper "On Denoting", a paper that is widely seen to be the exemplar of the analytic program in philosophy. Much contemporary philosophy cannot be considered in isolation from what has gone before. For example, Alasdair Macintyre is a contemporary philosopher dealing with modern issues, where he sees the relevance of medieval and ancient philosophers, such as Thomas Aquinas, Augustine and Aristotle. Another example is the work of Kant, who has had a profound influence on philosophy after his time. Peter Strawson and John Rawls, important figures in contemporary philosophy, clearly built on his ideas. 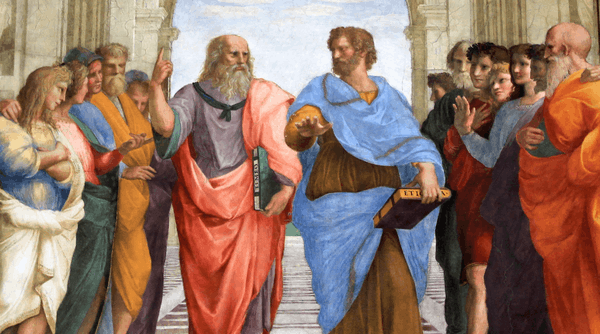 Because of these historical continuities with the present, the history of philosophy can be seen as an important area of research in contemporary philosophy. ↑ Thomas Kuhn, The Structure of Scientific Revolutions, The University of Chicago Press (1962), pp. 19–20. ↑ Peter Simons "Open and Cloded Culture" in Phenomenology and analysis: essays on Central European philosophy. Edited by Arkadiusz Chrudzimski and Wolfgang Huemer. Page 18. ↑ "Archived copy". Archived from the original on 12 February 2012. Retrieved 2011-12-31. ↑ See, e.g., Michael Dummett, The Origins of Analytical Philosophy (Harvard University Press, 1994), or C. Prado, A House Divided: Comparing Analytic and Continental Philosophy (Prometheus/Humanity Books, 2003). ↑ "...analytic philosophy opposed right from its beginning English neo-Hegelianism of Bradley's sort and similar ones. It did not only criticize the latter's denial of the existence of an external world (anyway an unjust criticism), but also the bombastic, obscure style of Hegel's writings." Peter Jonkers, "Perspectives on twentieth century philosophy: A Reply to Tom Rockmore," "Archived copy" (PDF). Archived from the original (PDF) on 28 November 2007. Retrieved 2007-10-19. ↑ See, e.g., Brian Leiter. "'Analytic' philosophy today names a style of doing philosophy, not a philosophical program or a set of substantive views. Analytic philosophers, crudely speaking, aim for argumentative clarity and precision; draw freely on the tools of logic; and often identify, professionally and intellectually, more closely with the sciences and mathematics, than with the humanities." ↑ "Analytic Philosophy". Internet Encyclopedia of Philosophy. ↑ Rorty, Richard. (1979) Philosophy and the Mirror of Nature. ↑ Williamson, Timothy "The Philosophy of Philosophy"
↑ Hubben, William. (1952) Four Prophets of Our Destiny. ↑ E.g., the largest academic organization devoted to furthering the study of continental philosophy is the Society for Phenomenology and Existential Philosophy. ↑ Glendinning, The Idea of Continental Philosophy, p. 12. ↑ The following list of four traits is adapted from Michael Rosen, "Continental Philosophy from Hegel", in A.C. Grayling (ed. ), Philosophy 2: Further through the Subject, p. 665. ↑ Simon Critchley, Continental Philosophy: A Very Short Introduction, p. 115. ↑ Critchley, Continental Philosophy, p. 57. ↑ The above list includes only those movements common to both lists compiled by Critchley 2001, p. 13 and Glendinning 2006, pp. 58–65. ↑ MacIntyre, A. (1981). After Virtue, 3rd ed. University of Notre Dame Press. ↑ Strawson, P. F., 2004 The Bounds of Sense: An Essay on Kant's Critique of Pure Reason. Routledge: 2004. ↑ Rawls, J. 1989 "Themes in Kant's Moral Philosophy" in Kant's Transcendental Deductions. Ed. Eckart Förster. Stanford, CA: Stanford University Press. ↑ Solomon, Robert C. (1987). From Hegel to Existentialism. Oxford University Press. p. 238. ISBN 0-19-506182-9.